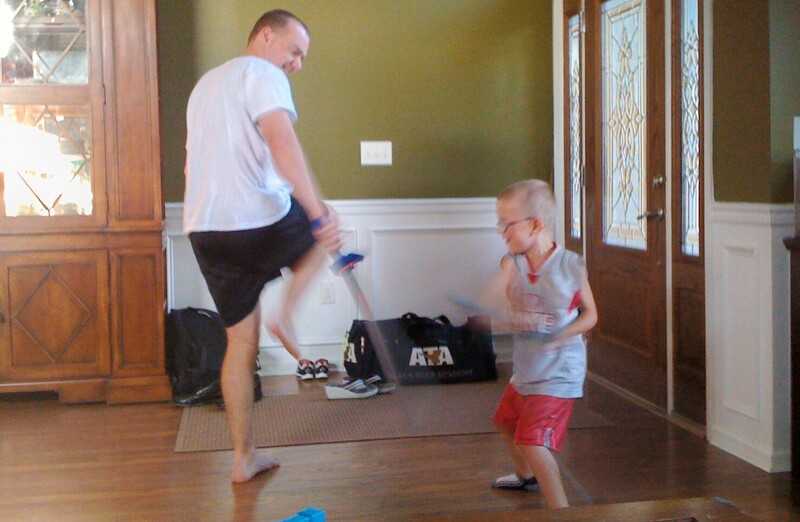 Little T.Puzzle and I settled back into the couch’s cushions and prepared for the smack-down sword fight to begin. Full Speed was already talking a big game. Before he had convinced Mad Dog to do battle, he had tried unsuccessfully to sweet talk me into a sword match. 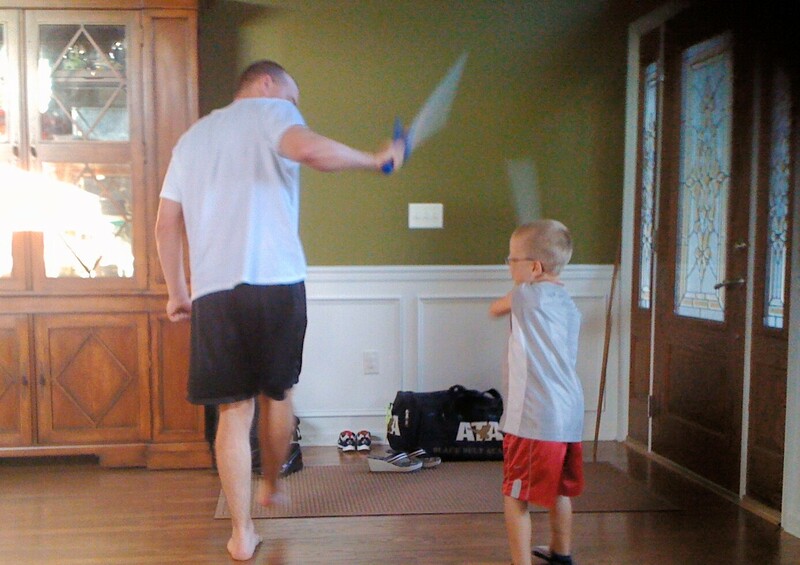 “Mom, remember how you used to be sword-fighting champion of the world?” he argued. Not really. I’m guessing at some point either myself or Mad Dog made this outrageous claim to entertain ourselves. Leave it to Full Speed to file this fictitious tidbit in his infallible memory and believe it as truth. As ‘sword-fighting champion of the world’ I politely declined. Full Speed was more than happy to turn his aggression on Mad Dog. About the third match in, Full Speed crouched low to the ground. You could sense he was pooling his energy in his legs and was about to burst forward and administer a mighty blow. Little T.Puzzle and I waited for the dramatic outcome. Full Speed yelled, flailed his arms and shot up like a rocket. Instead of his sword making contact with Mad Dog, it flew out of his hand and landed harmlessly a few feet away. I burst into laughter. Soon, we are all cracking-up and I realized that being a sword-fighting champion pales in comparison to a great, cacophonous laughing fit. Thanks for the chuckle, Full Speed! Aww sounds like a wonderful moment! Nothing liek a house full of laughter!